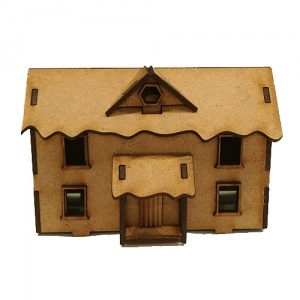 This easy to assemble house kit comes with all the parts you need to create a 3D Winter cottage. 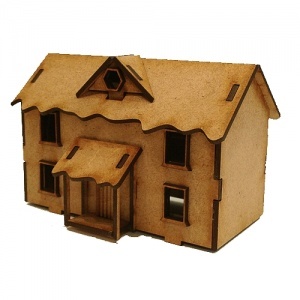 Includes window and door cut outs with frames, a front door porch and a pitched roof with dormer window. 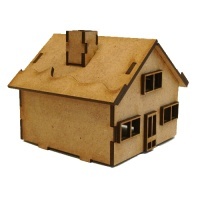 Roof edges come with softly cut shaping to give the effect of heavy snow. 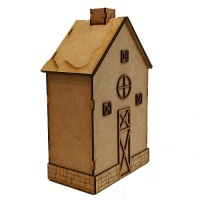 See tab above for downloadable Assembly Instructions. 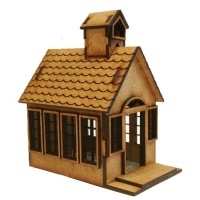 This house kit makes an ideal centrepiece in a village scene, diorama, shadow box or scenic project - decorate for the season, add snow and other embellishments to create unique little buildings! 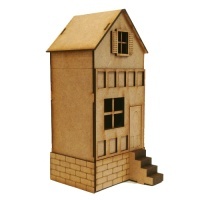 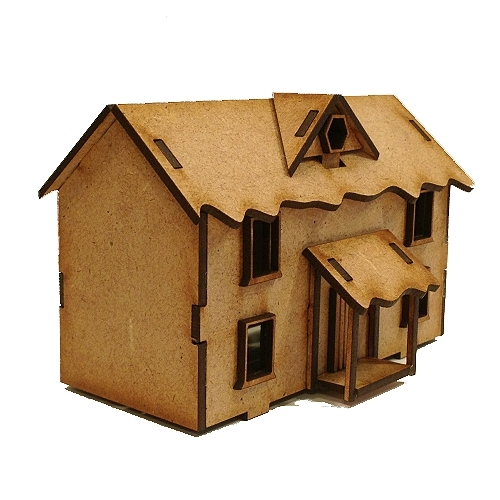 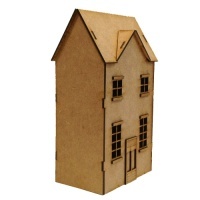 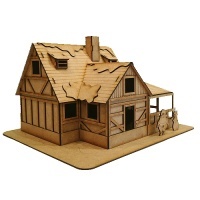 Small kit measures approx 70mm tall x 110mm wide x 70mm deep once fully assembled and is cut from 2mm MDF. 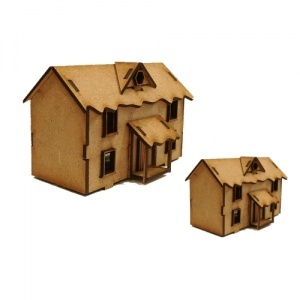 Large kit measures approx 105mm tall x 165mm wide x 105mm deep once fully assembled and is cut from 3mm MDF. 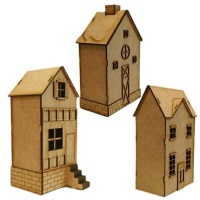 Being flat pack, this makes decorating SO much easier especially if you wish to line with papers or mixed media effects. 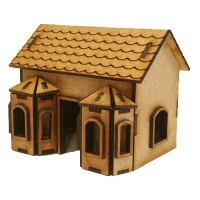 HINT: Keep the slots and tabs clear of any paints or other layers to ensure an easy fit. 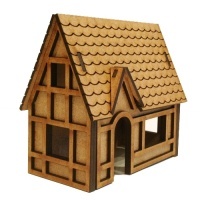 Use a good quality wood glue and wipe away any drips with a damp cloth before the glue sets.